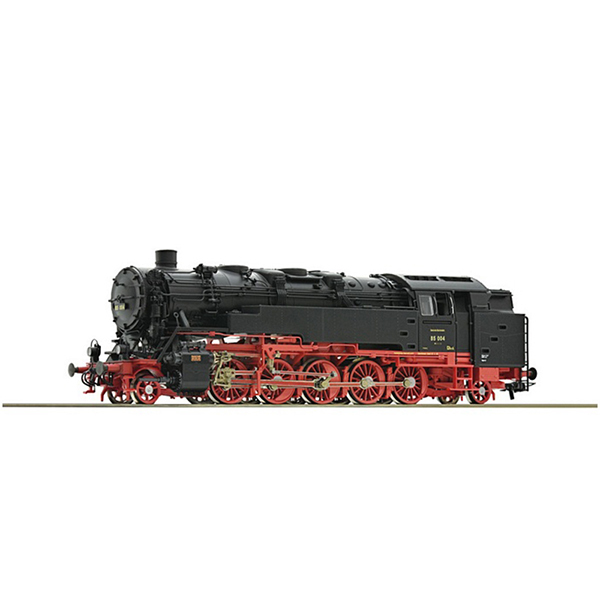 Steam locomotive 85 004 of the German State Railroad Company. Epoch II. The AC model is equipped with many digitally switchable sound functions and dynamic steam from the chimney. The dynamic steam from Roco provides a driving and noise synchronous smoke emission of the locomotive. were also much appreciated by the staff of the locomotives and enjoyed great popularity as they reduced the travel times of passenger trains by more than 1/3 of the original travel time.